We remember leading individuals of the past in order to grapple with the meanings of their lives and to see what bearing their legacies have on the present. The history of the ANC and its leaders is not only of concern to the ANC but also an important part of the history of the country as a whole. We remember people and what their lives signify partly with a view to measuring what we have achieved or failed to do. Why is it that the ANC is ambivalent about and has repressed memories of Chief Albert Luthuli? We are a few days before 21 July, the 50th anniversary of his death and the organisation has issued no statement. There is no announcement of any scheduled event(s) to honour his memory, no mention on the ANC website, (though as part of a different story, there is to be a small event in his home village of Groutville, organised by the local authorities). Despite this being a milestone, as with the 50th anniversary of his receiving the Nobel Prize, the ANC has made little effort to mark this date. In 2011, also, the anniversary of the founding of MK completely overshadowed Luthuli’s award, which received little if any mention on the part of the organisation. Is it a conscious suppression of memory or just that leaders are now so involved in succession battles or dubious deals that there is no time for Luthuli? It may also be that, in these times, many people have been able to be members and advance to positions in the organisation without being very conversant with ANC history. The ANC’s memory does stretch back to the time of Oliver Reginald Tambo, whose birth is celebrated this year, and rightly so, but organisational memory does not appear to go back to 1967 and certainly does not include honouring what Luthuli (and in fact Tambo also) stood for. I believe it is correct to mark the remarkable life of Tambo, but Luthuli also deserves attention, not only by the ANC but all of us. Luthuli died after allegedly being struck by a train when making a crossing that he negotiated carefully almost every day of his life. The inquest cleared anyone of wrongdoing, though the family believe that it was no accident. (But not Scott Couper, Bound by Faith, 2010, whose book is at pains to contest any attempt to suggest malfeasance). There are good reasons why the present-day ANC leadership may be uncomfortable with celebrating Luthuli’s legacies, if these are presented in an unsanitised form. His life represents qualities that are not found amongst current leaders, qualities that were manifested purely through his desire to live his life with integrity. The way Nelson Mandela, Oliver Tambo, Chief Luthuli, Walter and Albertina Sisulu and others are celebrated is too often through, denuding them of their most essential qualities. This is because what they embodied is in a sense subversive in the present context. Liberal use of words like “icon” and similar notions that tell us nothing, prevent us from uncovering what it is that these leaders and Luthuli represented that are both a rebuke of the current leadership and represent an alternative model of leadership that can be advanced for emulation. Like Mohandas “Mahatma” Gandhi and Nelson Mandela, Luthuli recognised the importance of sacrifice and building an organisation that was prepared to give everything in order to achieve and safeguard freedom, even if he, Luthuli, were to be amongst those who would die in order to achieve this goal. He knew, also, that people who were to make sacrifices needed to prepare themselves for this. That is why, at the time of the ANC’s Defiance Campaign of 1952, he called a special meeting of the Natal Executive to ensure that all were ready to lead in civil disobedience. They were asked about their level of preparedness and all performed the vow, required of defiers and said a prayer before dispersing to carry out their undertakings. In a time when our country battles with racism, ethnic chauvinism and xenophobia it is worth recalling how Luthuli straddled various identities. He was a Christian and an elected chief, who played his role according to the customs of the Abase Makolweni people of the Mvoti Mission Reserve. Unlike many chiefs today Luthuli did not operate with the notion of custom as practices operating unchanged from time immemorial and from early in his chieftaincy introduced changes, including the right of women to participate in gatherings of the chieftaincy and its councils. (This was part of a broader non-patriarchal approach to women, in his family and beyond, which is not possible to examine within the present space constraints. 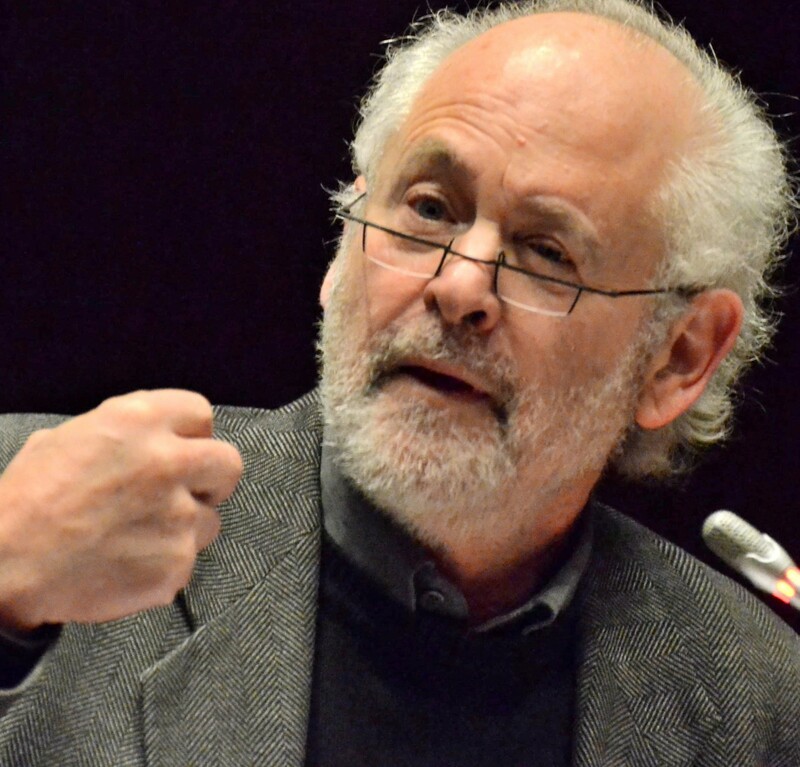 But see Raymond Suttner, ”’The Road to Freedom is via the Cross’ ‘Just Means’ in Chief Albert Luthuli’s Life”, (2010) South African Historical Journal, 62: 4, 693-715, at 712-713). Luthuli’s Christianity coexisted very comfortably with his being a chief. In the chapter of his autobiography referring to his agreement to stand for election he speaks of the “call” of his village to make himself available for election for some years before he accepted. (Let My People Go, 1962, chapter 5). He had not agreed at first because he was worried about the financial implications. He was a teacher at Adams College and could earn more to meet the financial commitments to his family. His decision to respond to the “call” a phrase associated with prophetic qualities was driven by his own introspection about the meaning of his Christianity, a notion of religion that was essentially humanistic and not centred only on personal salvation but liberation of all. Luthuli was a Christian chief and the majority of the inhabitants of the area and of his council were non- Christians. Yet Luthuli had no contempt for the ambaBheshu (or amaBhinca) and taught his children to respect and learn from their insights. This was part of a wider openness found in his public and political life where his closest confidante was Moses Kotane, the Communist leader. At the same time he formed close relationships with Alan Paton, leader of the Liberal Party and other Liberals. Luthuli never imposed them because he was conscious of the impact fines would have on an impoverished people. There were also attempts to bribe him over land disputes, but he always refused. (Nokukhanya MaBhengu and Albertinah Luthuli in Peter Rule et al, Nokukhanya. Mother of Light, 1993 at 90). Luthuli became ANC Natal president only two years after the African-Indian conflicts of 1949. His presidency of the Natal ANC and later the national ANC was characterised by close relationships with the Indian Congresses especially in Natal and this went some way to re-establish amicable relationships between the communities. Illustrating the fruits of this work, the late Ben Magubane told me how after an ANC rally in Durban people left the stadium to see police harassing Indian vendors. The ANC members then formed a cordon around the vendors in order to protect them. Luthuli met frequently with the Indian community and is often shown in photographs eating at Indian gatherings or homes. Luthuli made considerable efforts to reach out to whites and for his pains he was assaulted on one such occasion in Pretoria. During a brief interlude between restriction orders, in 1959, Luthuli addressed large audiences including whites in Cape Town. Mary Benson remarks that his lucid and uncompromising approach inspired enthusiasm. “After one meeting a crocodile of men and women of all races followed him down the street, singing ‘Somlandela Luthuli…’-‘We will follow Luthuli’. Swinging and swaying in the traditional steps-one, two, three, kick- ‘we will follow, we will follow Luthuli…’” His visit to the Cape was described as a “triumphal tour” by the Johannesburg Star…. (Benson, Struggle for a Birthright, 1985, 208-209). It may not be possible to prove conclusively that Luthuli was killed by the apartheid police or others in the “system”, but certainly a man who commanded support amongst all sections of the population constituted a threat that the apartheid regime had never previously encountered and this would not be seen again until Mandela’s presidency. Even if the ANC chooses to neglect the memory and legacies of Luthuli we, the citizens of South Africa need to draw on these. Interestingly, Luthuli was born in then Rhodesia and in a week when a deputy Minister uses xenophobic language we need to recall not only that Luthuli was not of South African birth, but that he advanced a universal notion of rights, that freedom belonged to all of us, no matter what our origins. He also advanced and lived ethical leadership, instead of merely voicing the words. Anyone who is serious about that notion ought to look at Luthuli’s practices in order to derive insights that can benefit our society, when we eventually emerge from the abuses and crimes that characterises government today.